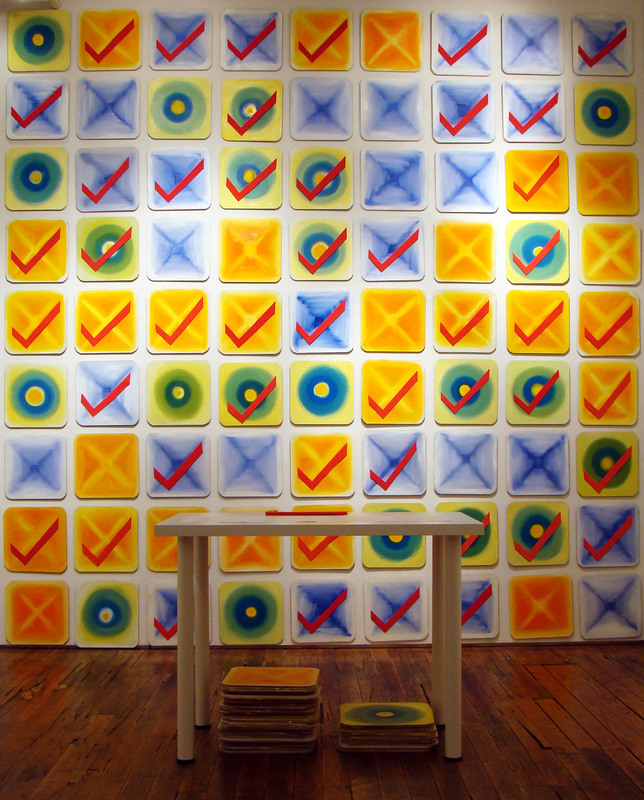 “The Greatest Achievements”, represents the idea of check to-do lists. 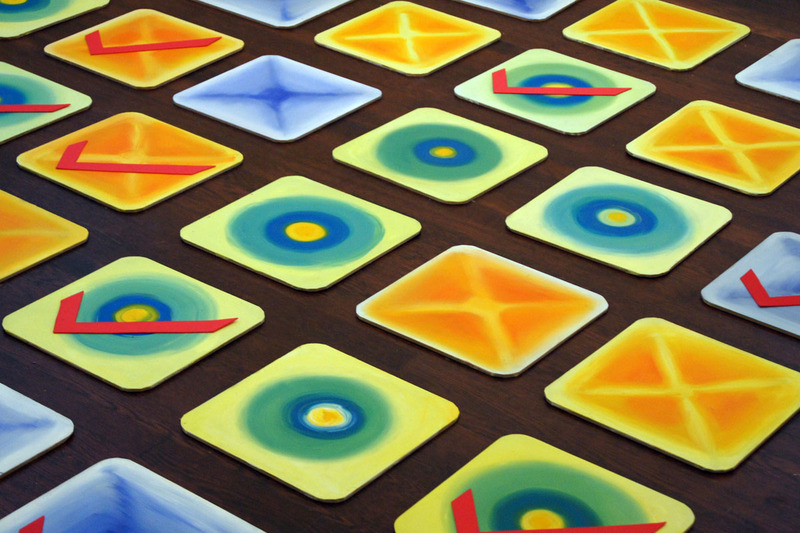 Each square is a symbol borrowed from a smart-phone app, which is an organizational tool developed to help you keep track of things you need to accomplish using a three-level priority system. 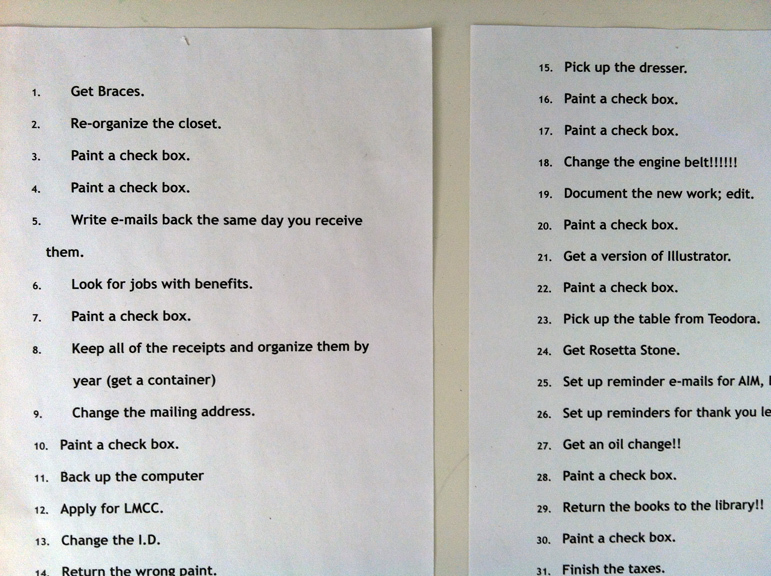 The brighter colors suggest urgency, and the darker tones define more common day-to-day tasks. The process involves writing a task, creating a box, achieving the task, and checking the box. In this case the check box is the task, and by its creation, is simultaneously achieved.